What did kids from the year 1904 think would happen by the year 1919 or even the year 2019? 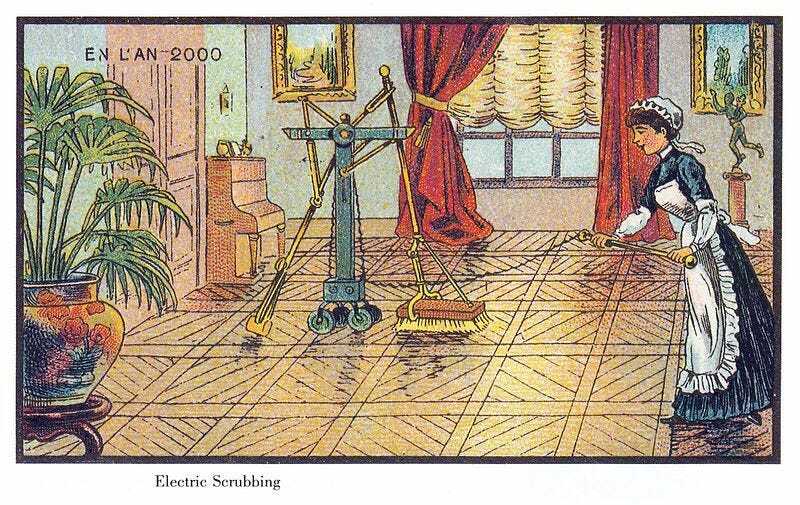 They imagined fancy airships in the sky, “automobiles for everything,” and wondrous house-cleaning robots. They even imagined trips to Mars by the year 1919. Seriously. At the turn of the 20th century, the Minneapolis Journal newspaper had an entire section for kids called the “Journal Junior” published on the weekends. The newspaper solicited stories from its kid-readers about anything involving the number 19, and the October 8, 1904 issue included submissions about what the fantastic world of 1919 and 2019. Some kids wrote histories about the distant past such as 1619 or 1819, but plenty of other kids looked to the future and described what they saw fifteen years or 115 years over the horizon. Some of the predictions for 1919 are just as radical as the year 2019, and with good reason. Fifteen years into the future is basically forever when you’re a kid. I distinctly remember building a diorama of what the world would look like in the distant future of 2000 in 1992 – when I was just 9 years old. The year 2000 was only eight years away but that magic number, 2000, still represented a goal for great things. From memory, my diorama had futuristic bubble-top cars moving around on a magnetic track and large rainwater collection stations. So you can understand why I might empathise with idiot kids in 1904 who thought that maybe there would be travel to Mars by 1919. I was an idiot kid too once. We all were, strangely enough. The year 1904 was an exciting time for many Americans. Teddy Roosevelt was president and the Wright Brothers had just made their first successful flight less than a year earlier on December 17, 1903. Everything in the future was going to be automated and wireless – fast moving and electric. The world simply looked incredible from the vantage point of the early 1900s, at least if you were a young kid who didn’t know any better. Sadly, from the perspective of the 21st century, we now know everything that these kids didn’t about what was in store for 1919. Nobody was travelling to Mars in 1919. Far from it. American soldiers, some who were kids in many respects, had just spent years fighting and dying in Europe, which may as well have been Mars for all they knew. World War I ended in November of 1918 and cost millions of lives globally. The Spanish Flu of 1918-1920 would wipe out millions more – perhaps as many as 100 million, or 5 percent of the world’s population – before it finally subsided. But the kids writing to the Journal Junior had no idea that any of these atrocities were going to happen. Those Minnesota kids looked to the future with optimism and a sense of wonder that the world might provide amazing things for themselves and their own unborn children. For example, seventh grader Gertie Bleecher wrote about some amazing household gadgets and robots, including one that sounds remarkably like a Roomba. “How I should like to see this country in 1919!” I exclaimed one day to myself. “Very well,” said a weird little man who suddenly appeared; “Follow me,” I followed, tho I knew not why, and we soon reached the attic where he opened the skylight and we began our journey to the year 1919. We went up fifteen flights of stairs, each one containing 365 steps except the fourth, eighth and twelfth, each of these containing 366. At the fifteenth landing the little man left me. I stood still for a moment wondering what to do, but at last I saw a house and thought I might ask where I should go. I walked up the steps and knocked. A servant answered my knock and asked me to step in and wait for the lady. It was early and the morning’s work was being done, as I learned, by electricity. I heard the rattling of the dishes, and looking into the kitchen I saw they were running thru a groove into a machine where they came out clean and dry. The sweeper was running up and down the hall, taking up the dust. The sewing machine in the corner was hemming a ruffle all by itself. Soon the lady came in and I asked, “Where can I take a car for the hotel?” She went to the door and said, “There is a ground line and an air line. If you are in a hurry you had better take the last, as it goes diagonally across blocks.” She pointed up and I saw a queerly shaped object coming down. In my surprise I stumbled and fell down the flights of stairs back to 1904, where I found the breakfast dishes waiting for me. I don’t suspect that this particular kid saw a French postcard, but it just goes to show you that the idea was in the ether, like so many visions of flying cars and jetpacks that we think are relatively new. 408 Waldorf Street East, New York, June 13, 1919 – Dear M.: Let me tell you what I have been doing this week. Yesterday I was writing at my desk when I heard voices at the balcony. I ran out and saw that three of my friends had just alighted from their airships. They asked me if I would take a little spin with them. I consented and we settle ourselves in the car. We went over papa’s office on the twenty-eighth floor of the Lonia building, over the magnificent theater, over the public library, and many others. I asked them to stay to tea with me and they gladly accepted. We thought we had better go in and so the airship was anchored. Then I told mama they were going to stay to tea and she said that she would have to send a wireless telegraph message to the caterer’s for some ice cream and cake. In ten minutes it came thru the pneumatic delivery tube. We had tea and then they went home. Beth’s future was filled with literal cake eaters, it would seem. Oh! If we only had them now, such as the people will probably have in 2019. Here and there will be airships instead of street cars or coaches. And also houses about as big as an ordinary room, shooting straight up into the air so the people in them can see all over the world and know what is going on over land and sea. There will be cars perhaps which are waterproof, going down to the bottom of the sea so that people can see many strange sea animals and shells and also hidden treasures. There will be movable stairs, also, so that people with large and heavy bundles will just have to push a button while standing on the stairs and then up they will go. Then there will be machines to do the thinking for the school children. There will be bouncing pads to put on the feet so that one can bounce from one place to the other. The best thing of all will be the invention of the magic wands, of which we have heard many tales. These will turn sand to gold or pennies to dollars or do anything of which our weary minds may think. If this time ever comes, then my great-great-great-great-grandson and daughter will have fun. I think that in 1919 instead of cooking a great dinner all one will have to do will be to take a pill that will taste like a good dinner to him. Then, too, everybody will have an automobile instead of a horse or a bicycle. Bicycles will be out of date. Things will not cost so much. Houses will be built fireproof. And when houses are built they will be built, not only fireproof but so that people cannot get in without the key; a skeleton key will be no good. The windows will not be breakable. School buildings will be fireproof also. Everything will be delightful. I dare say that poor Warren maybe had a bad experience or knew someone who had a bad experience with a break-in and a fire. Warren predicted that schools would be fireproof, which was actually a natural concern for a kid at the turn of the 20th century. Just a year earlier, on December 30, 1903, one of the worst fires in American history killed at least 602 people in Chicago. And just four years later a terrible school fire in Collinwood, Ohio would kill 172 students, two teachers, and one of the rescuers. Modern fire safety equipment has thankfully made terrible fires much more rare here in the 21st century. Harriet Hewitt, a sixth grader at the Bryant School, wrote about that far out year 1919 – when humanity would apparently discover intelligent life on other planets. At least I think that’s what’s going on here. This certain event happened in the year 1919. Some of America’s most noted men had discovered people resembling us on one of the largest planets. They were greatly interested and began to think about a way to get up there so they could say that their nation was the first to carry on foreign commerce with Mars. Two of the observers had lately bought a new kind of airship, and with two other men and two dogs they started, carrying five or six bags of air as they did not know how much air they might need up there. This was in the year 1905. One night when one was watching and the others sleeping, they struck something which shook the whole car. They awoke with a jump, expecting to see the land of Mars. But, alas! It was only the cow that jumped over the moon. They knew that what they were searching for must be in this direction. Before a quarter of an hour was over a great mass loomed up in front of them, and with great difficulty they landed. The first thing that greeted them was a young man with sleeves rolled up pulling all manner of cooked vegetables from the ground and dumping them in baskets to feed the animals. The next thing was a very large button grove where some goats were eating very contentedly. All such things and more were to be seen. They loaded their car and sailed for America, but landed on some islands near America, whence they returned home. 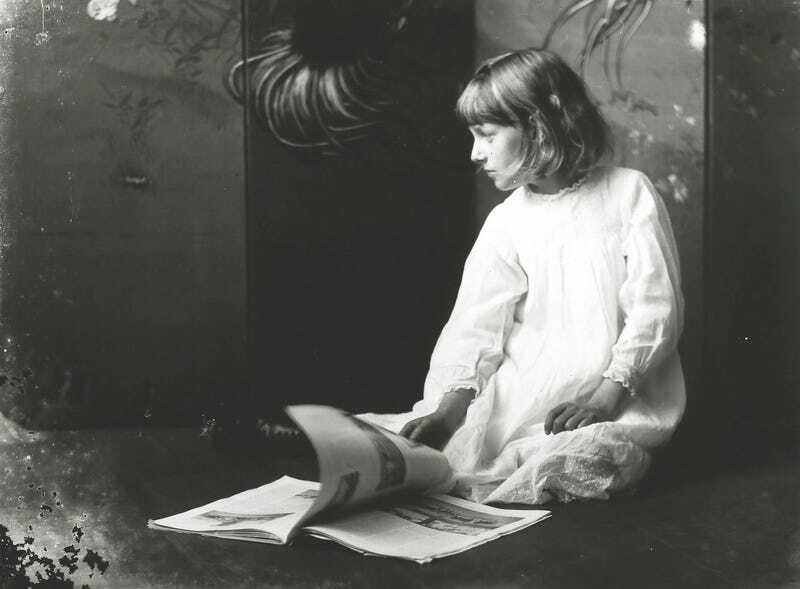 Another kid who wrote to the Minneapolis newspaper about her visions for the future was an eighth grader from Emerson School named Dora Kohen. She wrote about the result of the Russo-Japanese War, which was big international news in 1904. This is the year 2019, which is the age of flying machines and air-ships, and while many wonderful material inventions had been made, still greater political changes have occurred in the world’s governments; and especially would the change that has come to the Russian government be a source of gratification to the student of history a century ago. Russia was then one of the most absolute monarchies the world has ever had, while now she is a free republic where all men are equal and where justice reigns supreme, and the mines of Siberia are no longer known as prisons where hundreds of people, innocent of any crime, are doomed to a living death. It will, no doubt, be cause for wonder that such a change came about. It was the outcome of the Russian-Japanese war which occurred in the year 1904 and in which Russia was totally defeated. Besides losing all her power with the nations of the world thru the disastrous war with Japan, Russia’s monarchcal [sic] star had set defending her interests around Port Arthur and Manchuria, the revolutionists, taking advantage of this, rose in rebellion, and after a series of notable events the monarchy was totally overthrown and a republic, in the true sense of the word, was established, – a republic in which every man, rich or poor, has the same voice in the government as any other man. “...a free republic where all men are equal and where justice reigns supreme” was a pretty high-minded idea for a young American kid at the time. To put it in context, the Nineteenth Amendment giving women the right to vote in every state was still 16 years away, and the Civil Rights Act that would formally abolish Jim Crow laws wouldn’t be passed until 1964. It is the year of 2019. The great war is over and the United States, England and Japan rule the world. New York is the largest city in the world. His Royal Majesty, King Henry I. (for now you know the United States is ruled by a king) is a great man. There has been a big famine, but now it is over. Minneapolis is the second city in size. Minnesota consists of Wisconsin, Michigan and the land south as far as Kansas, and is the richest state in the world. Japan conquered Russia and now lives in peace. The five great lakes form one big sea. 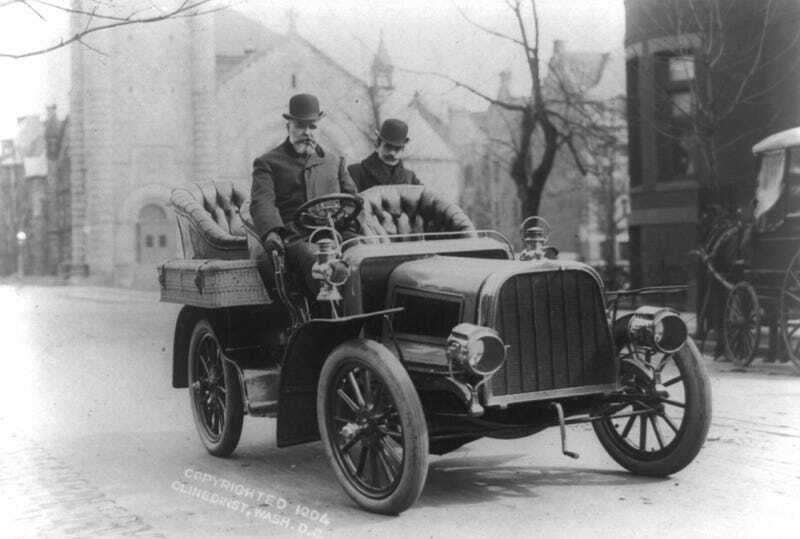 The people use automobiles for everything; they can be bought for ten and up to twenty-five dollars. The highest building in Minneapolis is twenty stories high. The tallest building in Minneapolis today is the IDS Center. And at 57 stories, it’s significantly taller than 20 storeys. And as for the cost of a car, that $25 would be over $600 today. A mere $600 doesn’t get you much of a car today, Kent. Sorry. Seventh grader Laura Melloh had some predictions for 2119, a hundred years from now. August 25, 2119 – I went to New York today in my flying machine. I crossed the Brooklyn bridge in the New York-Brooklyn autocar and in three minutes was across. I witnessed a terrible accident above Broadway. A man was going home in his aircycle and collided with an electrical planet car. August 26, 2119 – I took a trip to the moon in my auto-aero planet-car, “The Swallow,” today. I found that it was not composed of green cheese, but was something like our own earth. I visited a school in Bright, Moonshine county, taught by the “Man in the Moon.” The children did not study at all. The teacher simply said, “Johnny Light, pass around the arithmetic pellets.” Then they ate them and recited without further preparation. Truly this is a wonderful age. We can’t call little Laura wrong just yet. But here’s hoping that she’s more accurate than the current predictions for the planet 100 years from now. We’ve looked at plenty of predictions from kids over the past century, and as you can see, those of 1904 were pretty optimistic, reflecting the time in which those kids lived, to say nothing of their station in life. But contrast those with predictions of the 1970s, a time of tremendous economic and geopolitical stress for the U.S., and the predictions of kids get pretty dark no matter where they came from. What are kids predicting here in the 21st century? You’d have to ask them. Kids are generally pretty optimistic, but I’d wager that a lot of those predictions are starting to look pretty gloomy – at least for kids who aren’t growing up wealthy and white. The normalisation of hate in America has reached epidemic proportions. And that stuff always spills over into how kids see the world. If the president gets up every day and whines about how he wants to build a wall to keep scary immigrants out of the country, that toxic garbage matters. And never-ending chants of “build the wall” become your future, whether you want it or not. The goal should always be to live in a world where kids feel good about the future and their place in it. I don’t know that I can say that about most kids today. There isn’t much that I’d like to transport from 1904 into the 21st century. But if the predictions of these kids is representative at all, I’d sure like their optimism.